This desk mount allows you to clear up your valuable work space, whilst providing an ergonomic working position. Constructed of high grade steel, this rugged mount is built to resit scratches and supports screens up to 8kg/17.6 lbs and 32" in size. 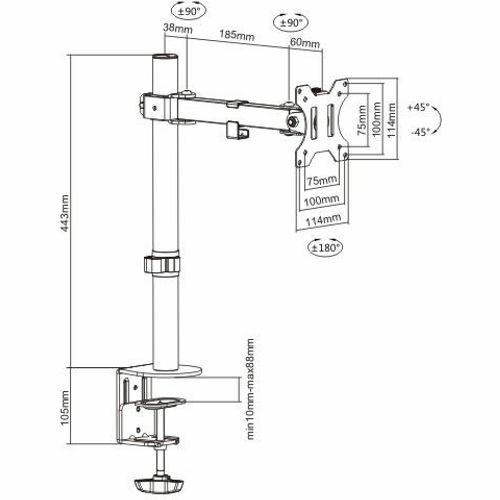 A detachable VESA panel is supplied, just simply screw the monitor on to the panel and slide back to the mount. 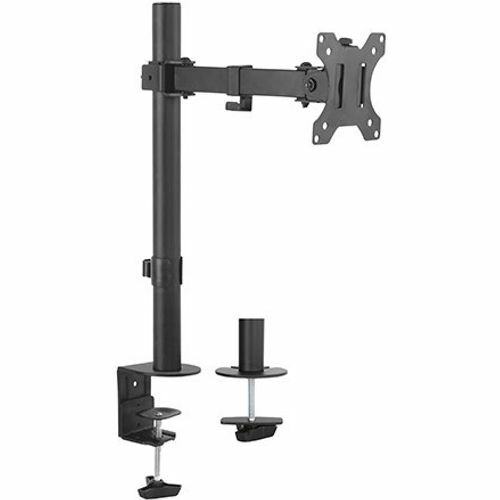 Full motion structure allows smooth, effortless rotating and positioning for any direction, making it easy to find the perfect viewing angle. Tighten or loosen each joint to make your mount as fluid or stationary as desired. 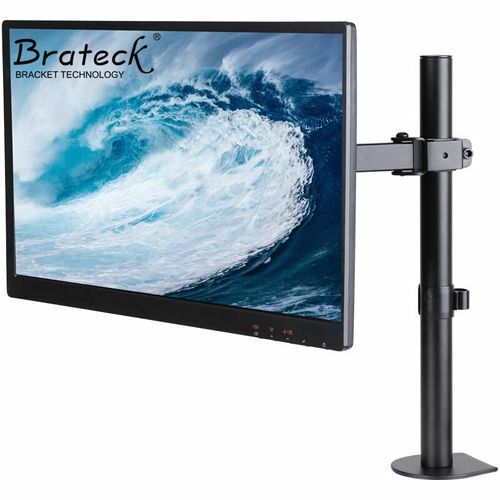 You can also adjust the monitor height vertically to a desired position. A cable clip is included for keeping cables organised and protected. This desk mount allows you to clear up your valuable work space, while providing an ergonomic working position. Constructed of high grade steel, this rugged mount built to resist scratches and supports screens up to 8kg/17.6 lbs and 32" in size. A detachable VESA panel is supplied, just simply screw the monitor on the panel and slide back to the mount. A cable clip is included for keeping cables organized and protected.